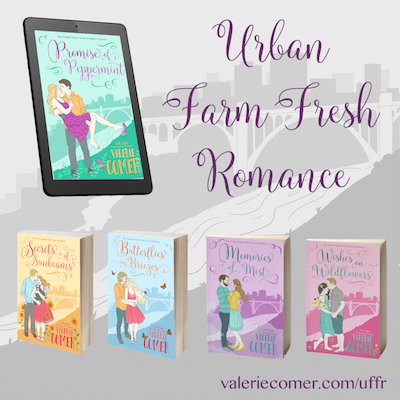 Welcome to Bridgeview, the setting for my Urban Farm Fresh Romance series! I’m pleased to share this map of Bridgeview, an artist’s rendering of the fictional-but-real neighborhood in Spokane, Washington. I hope you enjoy being oriented to the community layout as I see it! Click the image to see it larger. 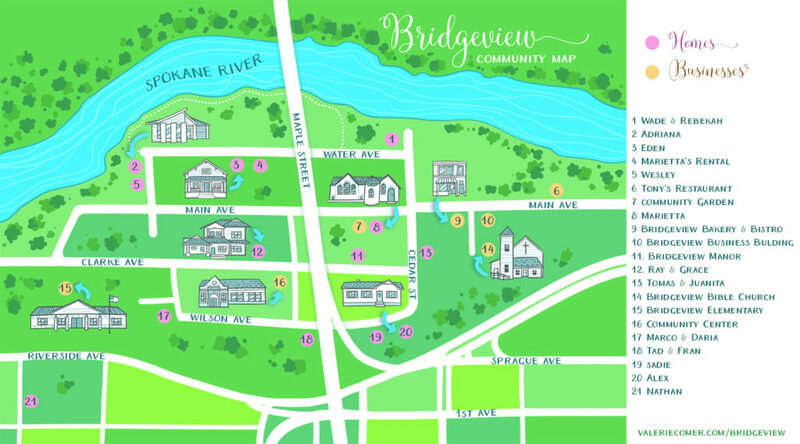 This map of Bridgeview was created by my daughter and cover illustrator, Hanna Sandvig, of Book Cover Bakery. She’s available for both cover illustrations and map creation. Contact her through the Book Cover Bakery website. 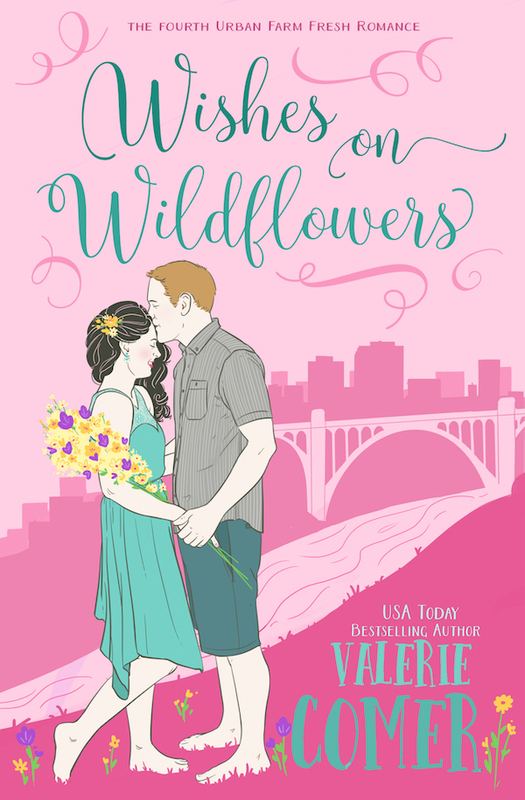 The fourth book in the Urban Farm Fresh Romance series, WISHES ON WILDFLOWERS, finds Jasmine Santoro face-to-face with her high school sweetheart when her older brother contracts Nathan Hamelin to help with their new family venture. Jasmine's anger eight years later surprises Nathan. To his mind, it's ancient history, and he didn't count on falling in love with her all over again. When her brother's issues come between them, both Nathan and Jasmine have decisions to make. Are their growing feelings strong enough to remind them grace is needed for life and love? 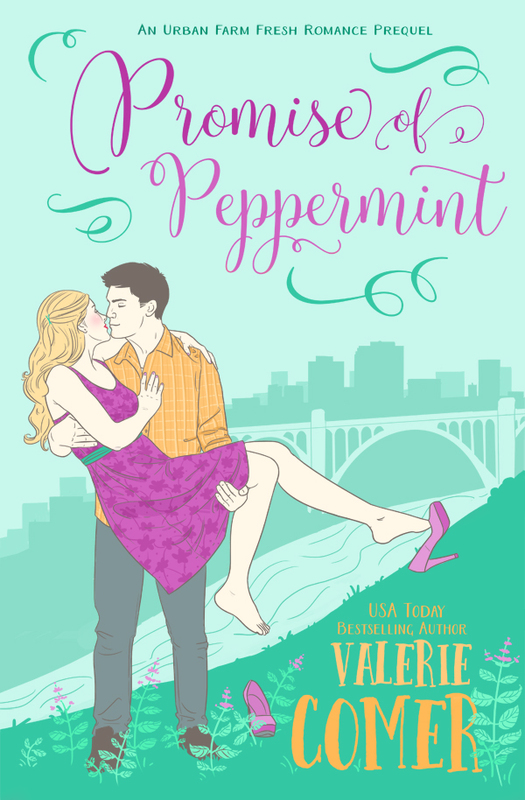 This series follows the adventures, romantic and otherwise, of a group of friends in the fictional neighborhood of Bridgeview in Spokane, Washington. These stories explore what an urban community focused on local food might look like: raising goats, chickens, and bees in the heart of the city while sharing in food projects and engaging in each others’ lives. 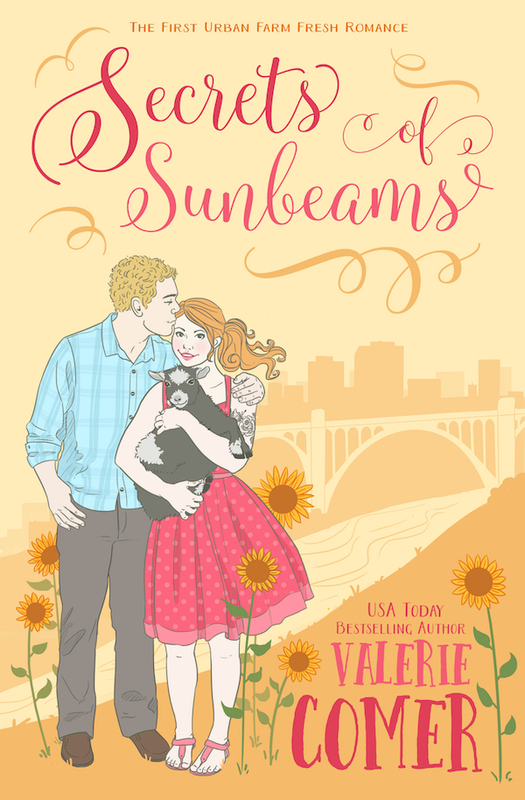 The first book in the Urban Farm Fresh Romance series, SECRETS OF SUNBEAMS, introduces an animal control officer with her own escapee goat who eats a nearly complete presentation by the everything-in-its-place solar architect who recently moved in next door. Can Jacob Riehl get past the incident — and the goat herself — to find a soulmate in Eden Andrusek, a tattooed woman who definitely doesn’t have everything together? Because if Jacob thinks the goat, not to mention the chickens, is just a passing fancy, Eden won’t have any trouble making her choice. Or will she? 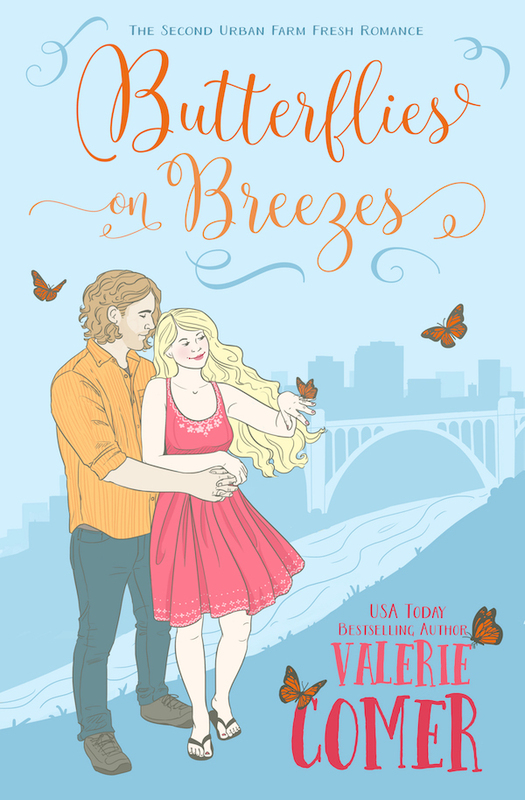 The second book in the Urban Farm Fresh Romance series, BUTTERFLIES ON BREEZES, offers lawn care worker Linnea Ranta the opportunity to unfurl her wings and design a community garden. Her carpenter assistant, Logan Dermott, is used to flirting with pretty women and moving on, but senses Linnea is fragile and pulls back. He doesn't expect to fall for her, nor does he expect her to break out of her chrysalis and turn into a beautiful butterfly. Will he realize what he almost lost before she flies away? This prequel novella, free to subscribers, finds Rebekah Jackson still running four years after she'd fled from Wade Roper's proposal. When they meet again in Spokane, Washington, Wade is certain God has given them a second chance, but can Rebekah put her trust in him and in the God who loves them both? Because, while second chances are rare, third chances are all but unheard of. 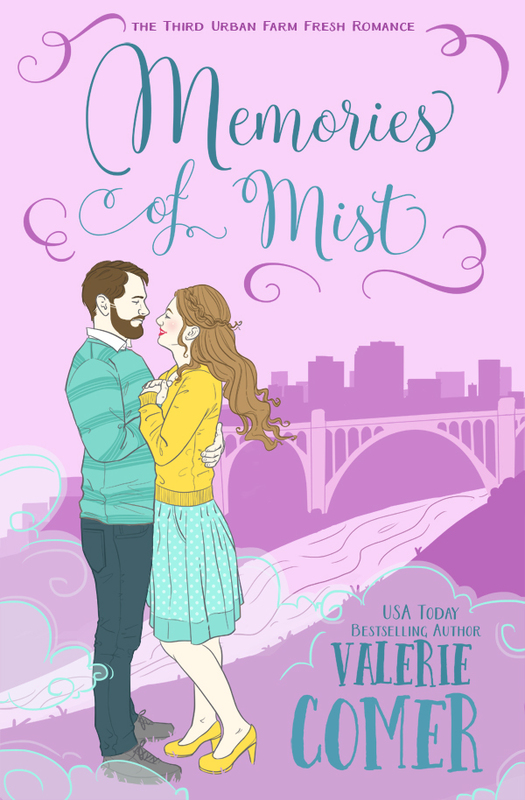 The third book in the Urban Farm Fresh Romance series, MEMORIES OF MIST, finds Adriana Diaz active in her children’s education five years after her hero husband’s death. If only the new teacher at Bridgeview Elementary valued the greenhouse and garden the PTA had worked so hard to secure, but Myles Sheridan is a reluctant participant. When flying sparks reveal attraction, how can Myles compete with the man from Adriana’s memories? He’s not the material champions are made of. Or is he? Thanks so much for the great map! !